Jason has developed a passion for aviation and aerospace from a childhood of visits to air shows, the Kennedy Space Center and the National Air and Space Museum. 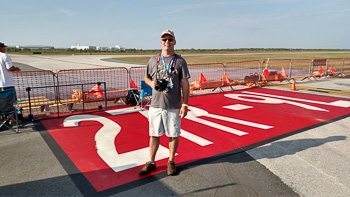 He has attended airshows all across the United States and now sets his sights on going further afield to capture great photographs. An enthusiastic amateur he has been absorbing new techniques from classes and other photo professionals. Now living in South Florida he is taking advantage of the close proximity to many great venues for aeronautics.